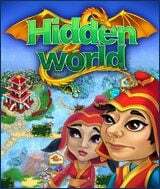 Download Hidden World for free at FreeRide Games! In Hidden World, a Strategy/Sim game that's a real treat to fans of this genre, an evil wizard has attacked a kingdom of beauty and enchantment, leaving a path of destruction in his wake! Your mission is to gather the forces of good and repair the broken land one village at a time. As you collect the resources you need, you must also fend off the wizard's followers, earn power-ups that give your workers a boost, and complete the renovations before time runs out. 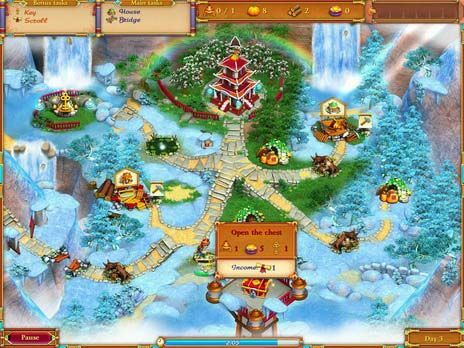 Most of the levels comprise of one or two main tasks that you must complete in order to advance, and bonus tasks that will reward you with magic lamps which will melt different parts of the castle. Clones of the evil wizard will also appear from time to time and try to freeze your buildings, so click on the wizards repeatedly to make them stop. Remember, the citizens of Hidden World are counting on you to save the day, so don't delay!